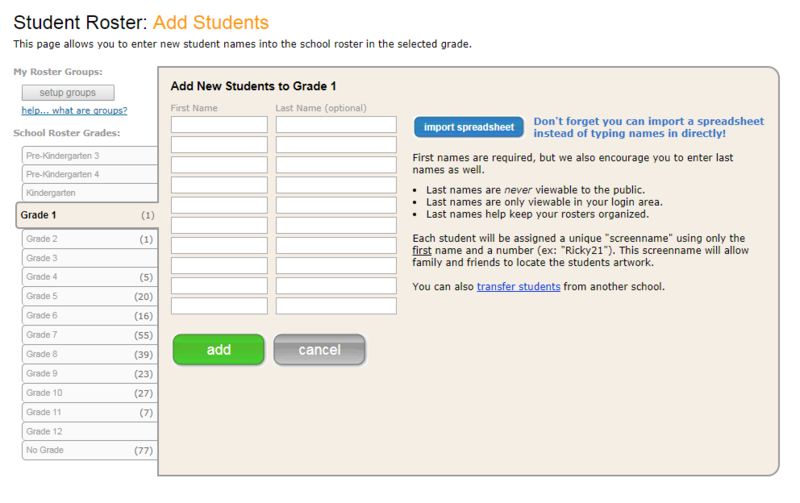 Each student that a teacher inputs into his/her class roster on Artsonia is assigned a unique screenname by Artsonia based on the list provided by the student's teacher to Artsonia. Screennames typically consist of the child's first name, followed by a number (e.g., Cam396). Parents and relatives can locate a gallery by going to https://www.artsonia.com and entering the student's screenname into the search bar.